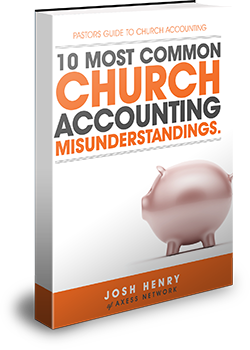 Discover the most common accounting mistakes churches are making and how to avoid them. There's plenty of inaccurate information out there on how to handle the bookkeeping and accounting for your church. Keep your church above reproach and get this e-book. ﻿You'll Find out why checks and balances matter, how payroll needs to be handled, why designated funds can harm your church and much more.